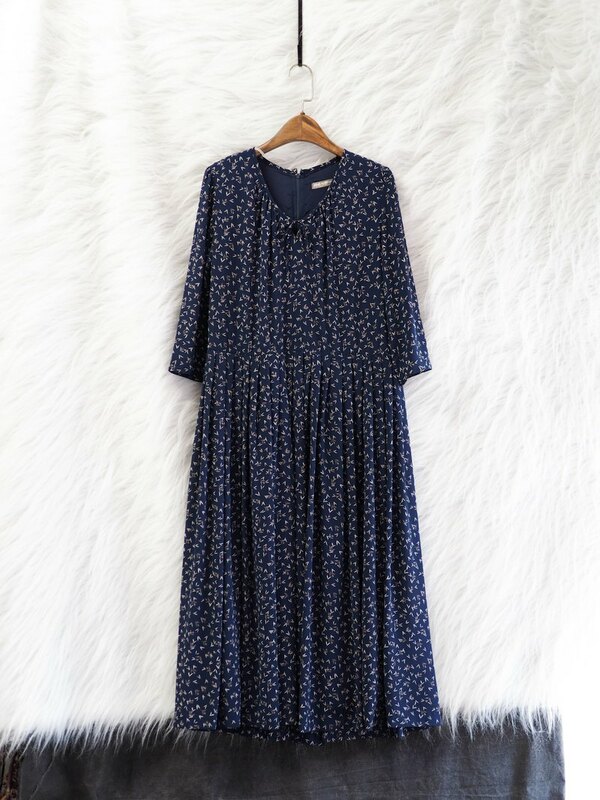 "The dress is convenient, romantic, elegant and beautiful~"
○|Sea blue floral dress: shoulder 35 sleeve 42 chest 44 waist 43 hip 48 full length 113 cm ○|With lining / rear zipper / lower body ○|Sea blue flower long version cover: shoulder 35 sleeve 61 chest 56 length 92 cm Elastic ✩✩✩ / inelastic Thickness ★★✩ / Thin material Feel ★★✩ / silky spinning, feel good 麻 麻豆153/48 ✔ 100% real shot This store Maidou wears a photo for the rough comparison between the real person and the clothing. Please check the product size for details. If you want to try different styles or self-features, please focus on your own preferences. ✔ Ancient goods are not new copies, and the number of products is limited. It is inevitable that there will be signs of age. If there are serious defects, they will be marked with pictures. ✔ All products are shot under natural light, and each computer shows how much color difference The size marks are all single-sided, please confirm whether it fits Please ask any questions before you buy, and you will not be returned.